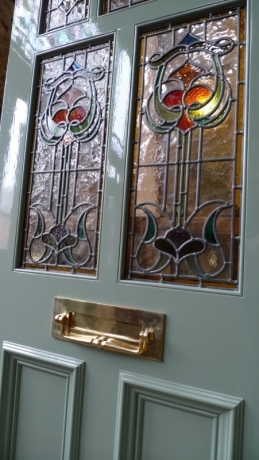 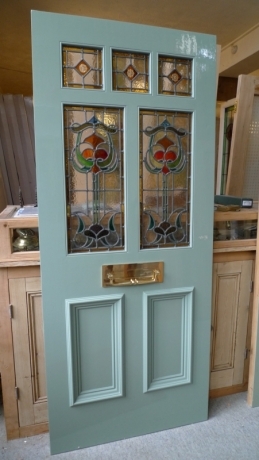 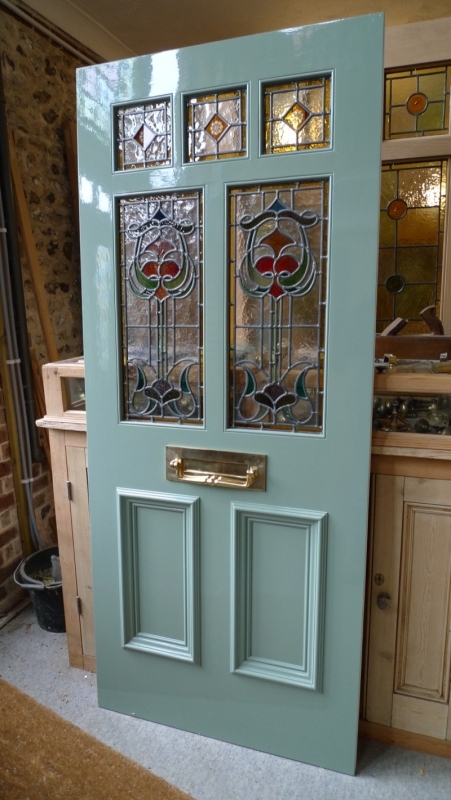 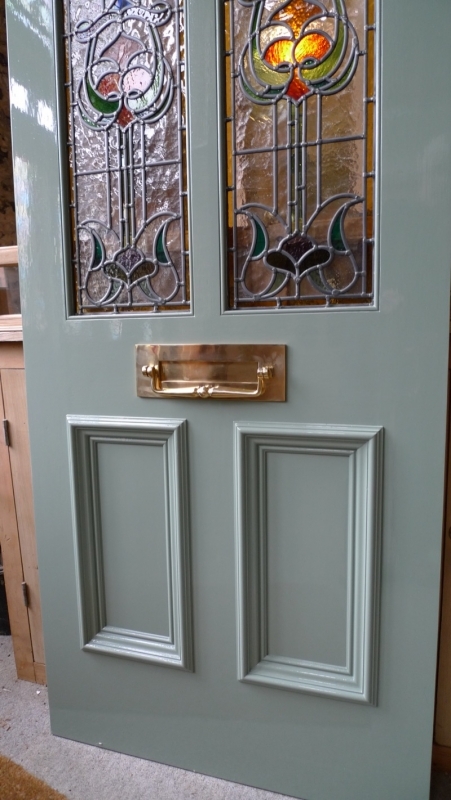 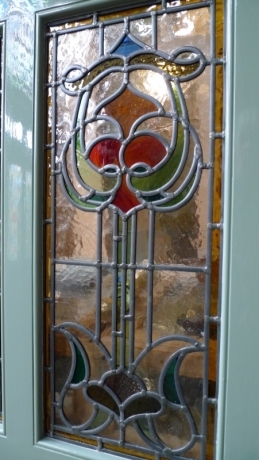 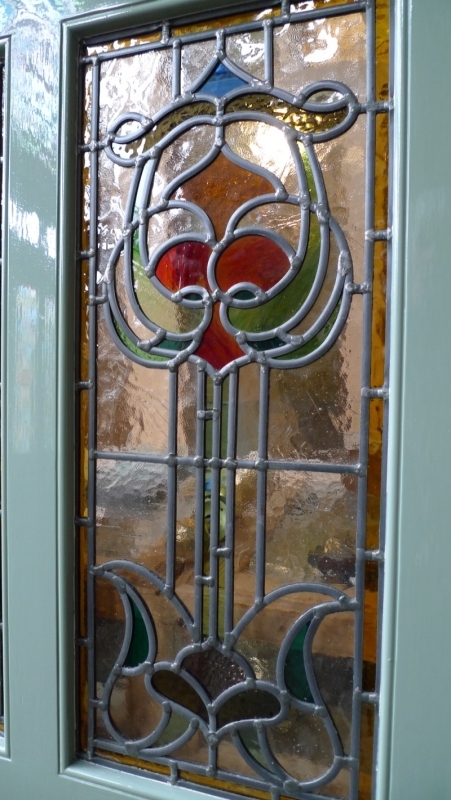 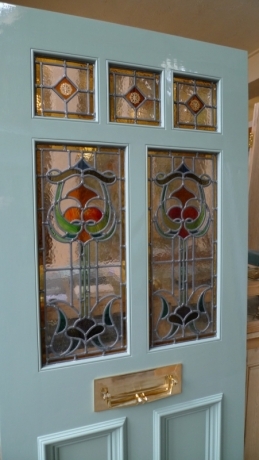 Here we have a lovely front door with a 1920,s style Art nouveau stained glass panels. The panels have been made using a mixture of reclaimed antique glass and handfloated glass. 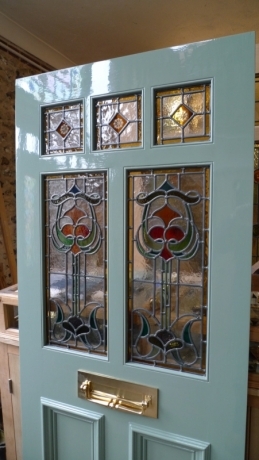 Imperial : 36 x 84 x 1 3/4 inches. 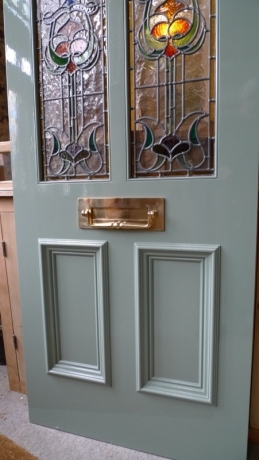 We can apply a clear sealer or white primer to the internal surface @ £42.00 inc vat, this can be left as is or can be over painted varnished or waxed as required.